This entry was posted in Arts & Culture and tagged Glee, lady gaga, Lea Michelle, nose jobs, plastic surgery, rite of passage, self-hatred. Bookmark the permalink. 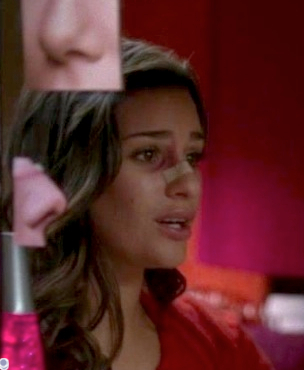 Lea Michele has an Italian nose. Tell her to look in the mirror again. Italians, Jews, Irish, Greeks, Arabs all have big noses but of course it’s always a Jewish nose. Why is that? Antisemetic much!